We have stayed at Lindian Pearl before and we knew to expect very high standards. The welcoming fruit, water, croissants and juice were icing on the cake. 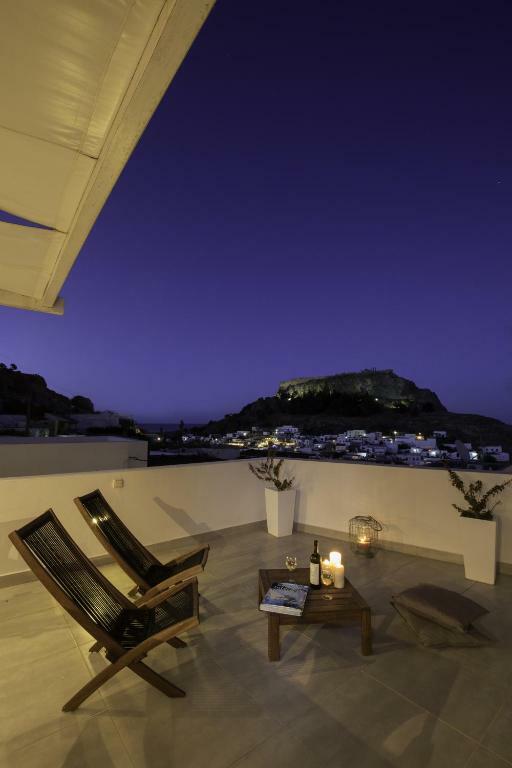 Lindian Pearl far exceeds the standards of the package holiday accommodation we had previously experienced in Lindos. The property met all expectations and the terrace with the view of Acropolis was simply breathtaking.Added bonus of having hammock in the terrace. Some fruits/water etc on arrival was a welcome touch by the hostess who met us on arrival as we did not get in till 2am. .
Everything fab, really lovely host. Kept really clean. Had a fab holiday. The view of the acropolis and town from the balcony and the easy proximity to everything. Due to a problem with the apartment, we were upgraded to a villa nearby by the owners so we didn't actually get to stay at the Lyndian Pearl but I am sure it would have been lovely and the house that we were given was really amazing! Amazing and beautiful apartment walking distance from Lindos beaches and shops/eateries. stayed in the 2 bed apartment. It has 2 outside seating areas which we were unaware of when booking. one is outside the front door and the other is up on the first floor with fantastic views. Great location and lovely greeting to take us to the property - even at 1.30am. Apartment was cleaned thorough and fresh towels everyday. Lovely touch to have some welcome food to get us started. Lots of information provided about Lindos which was very helpful. Nothing was a problem! Lock in a great price for Lindian Pearl – rated 9.3 by recent guests! 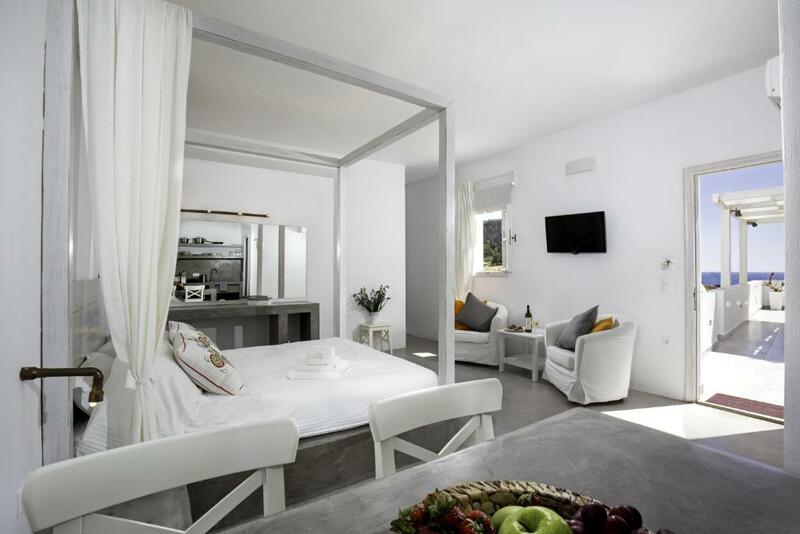 One of our top picks in Lindos.Just 1,650 feet from Agios Pavlos Beach, Lindian Pearl is located in the village of Lindos. 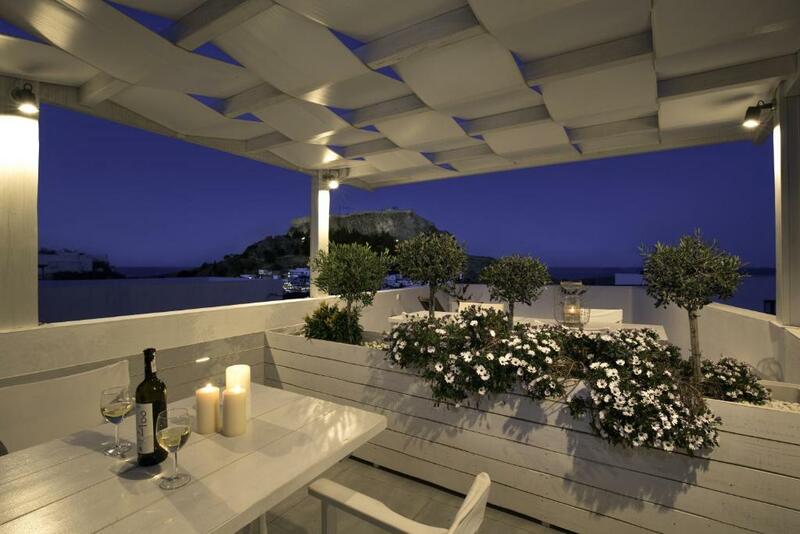 It offers self-catering accommodations with views over the Aegean Sea and the Acropolis. Free Wi-Fi is available throughout. 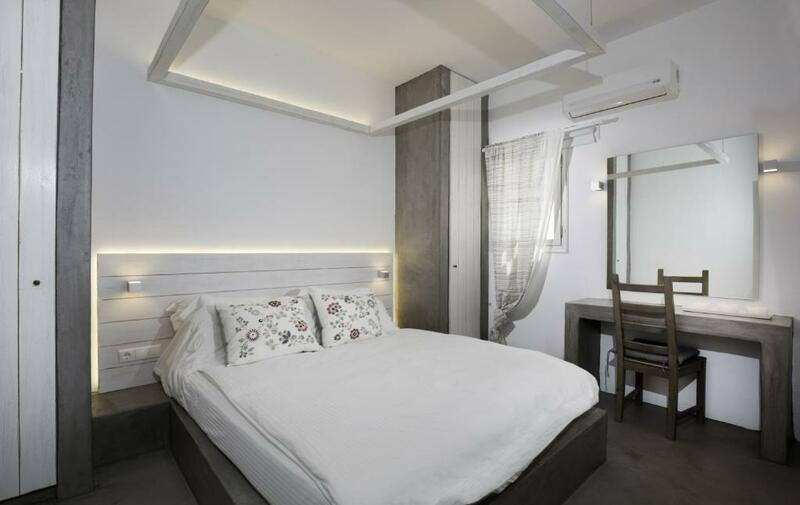 Fitted with four-poster beds featuring Coco-Mat mattresses and stylish decoration in gray and white tones, all air-conditioned studios and 2-bedroom apartments of Lindian open to a private balcony. 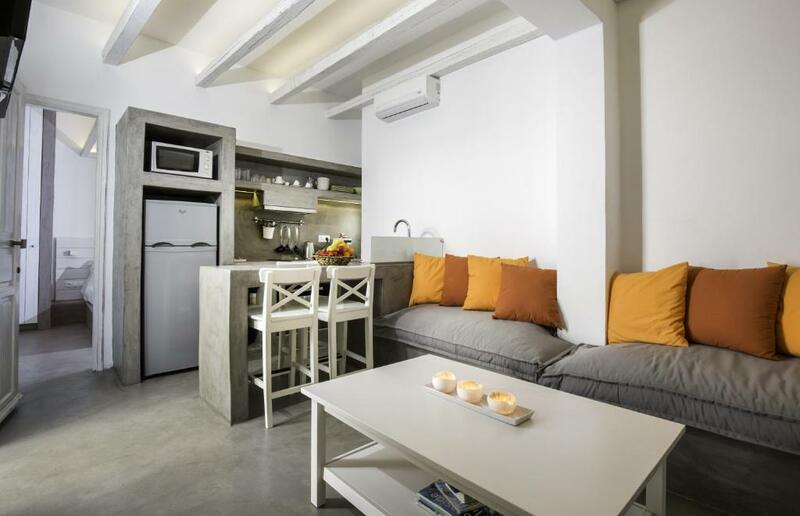 Each has a flat-screen, satellite TV and a kitchenette with cooking hobs and dining table. Some units come with a washing machine and a seating area. The center of Lindos Village with several mini markets, restaurants and café bars can be found at a distance of 500 feet. Diagoras International Airport and Rhodes Town along with the island’s port are 31 mi away. When would you like to stay at Lindian Pearl? Please note that some units come with a washing machine. 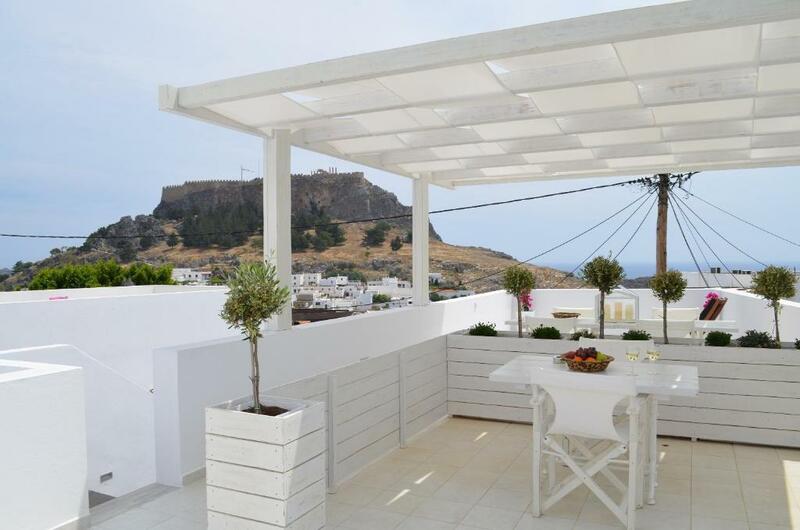 These newly built luxury apartments are situated in a quiet area of Lindos, the small and beautiful tourist resort on the north coast of Rhodes. The friendly environment and the relaxing atmosphere in combination with the beauties of Lindos is a guarantee for unforgettable holidays. 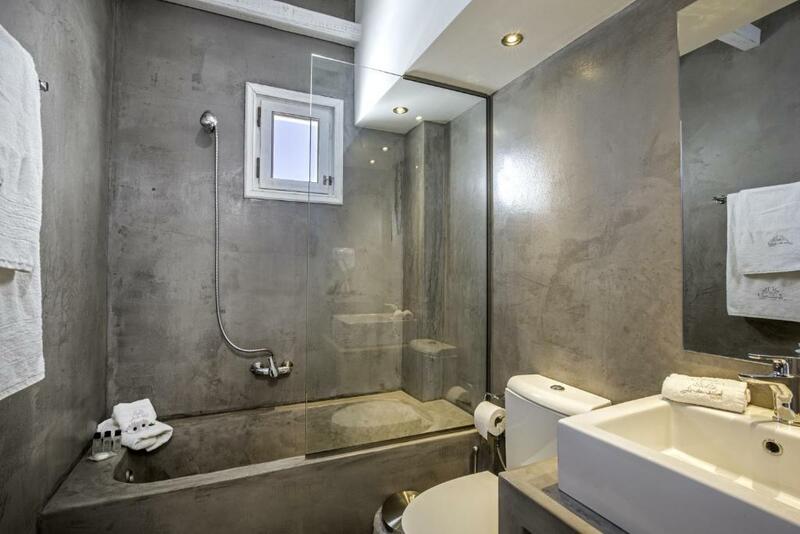 Three luxurious and new design apartments in grey and white tones with views over the Aegean Sea and the Acropolis are Just 500 metres from Agios Pavlos Beach and 100 meters from the center of the village where you can find mini markets, restaurants and café bars. Diagoras International Airport and Rhodes Town along with the island’s port are 50 km away. It offers self-catering accommodation. FREE Wi-Fi is available throughout. Fully equipped to accommodate home comforts. 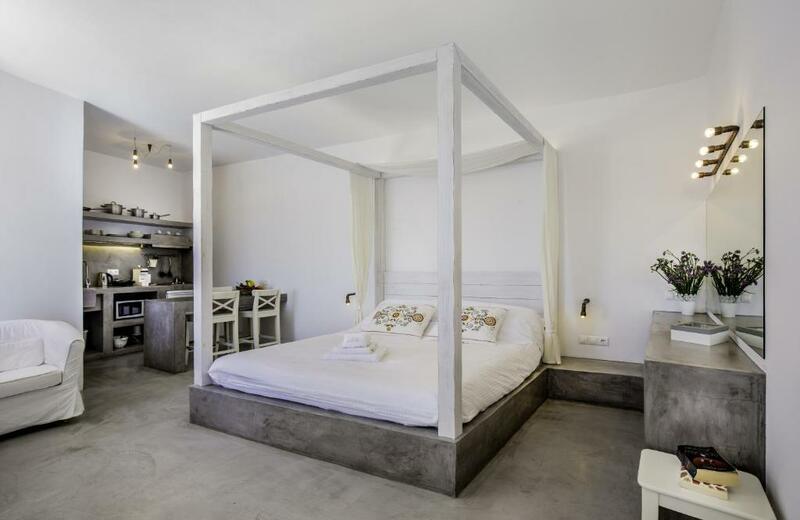 Fitted with four-poster beds featuring Coco-Mat mattresses, all air-conditioned studios and 2-bedroom apartments of Lindian open to a private balcony. 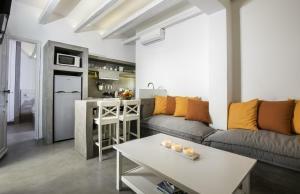 Each has a flat-screen, satellite TV and a kitchenette with cooking hobs, dining table and seating area. Some units come with a washing machine. House Rules Lindian Pearl takes special requests – add in the next step! Lindian Pearl accepts these cards and reserves the right to temporarily hold an amount prior to arrival. Please inform Lindian Pearl of your expected arrival time in advance. You can use the Special Requests box when booking, or contact the property directly using the contact details in your confirmation. We like to have a pool but knew this going and the beaches were great! Genuinely cannot find any fault! Was cleaned every day, central location, close to amenities and beautiful interior decoration! Excellent accommodation , the owners are ever so friendly and the view is simply breath taking , nothing was too much of an effort . The beds are super comfortable , and the kitchen is well equipped . Location is fantastic close to the beach and very peaceful at night. The lady took as from the bus station and gave all the details about Lindos. She was so kind and hospitable. The room was decorated perfectly. We also had a terrace which has a splendid view of the acropolis and the sea. We really loved our stay in Lindos.